Micro-needling is one of the safest and most comfortable ways to rejuvenate and improve the appearance of your skin. At Skin Deep Laser MD, our micro-needling treatments effectively reduce the appearance of several skin conditions with the Eclipse MicroPen™, the latest in micro-needling technology. 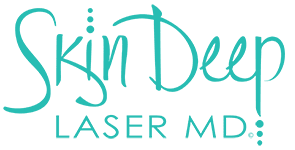 Skin Deep Laser MD serves the Fort Worth area in Texas with multiple laser and skin rejuvenation treatments for all of your cosmetic concerns. Contact us today to schedule a consultation with Dr. Laura S. Riehm. Micro-needling involves creating microscopic holes in the skin using the cordless Eclipse MicroPen™ device. These tiny punctures draw no blood, are invisible to the naked eye, and stimulate the body’s natural healing process. As the Eclipse MicroPen™ is moved across treated areas, hundreds of microchannels are created in the skin every few seconds. This process is known as Collagen Induction Therapy (CIT), and it stimulates the production of new collagen – the main structural protein in the skin. CIT also results in new elastin, creating tighter, smoother skin. The MicroPen™ is safe for all skin types and features the Turbo Safety Needle for predictable, reliable results. Micro-needling treatment with the Eclipse MicroPen™ does not visibly damage the skin and it is safe for use on most skin conditions, although patients often have a slightly flushed or red appearance for a few days afterward. During your consultation, Dr. Riehm will evaluate your skin condition and help you determine whether micro-needling is right for you. Contact Skin Deep Laser MD today to schedule a consultation with Dr. Riehm and find out how micro-needling with the Eclipse MicroPen™ can improve the appearance of your skin.